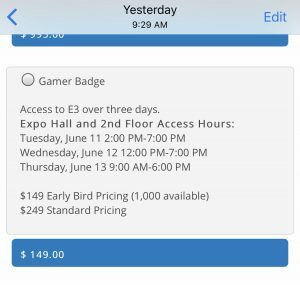 Many gamers/general attendees now have an opportunity to buy a 3-Day badge to this year’s Electronic Entertainment Expo (E3), which is being held June 11-13 in Los Angeles, California. As expected, the early bird discount badges sold out very quickly. Only 1,000 were made available. 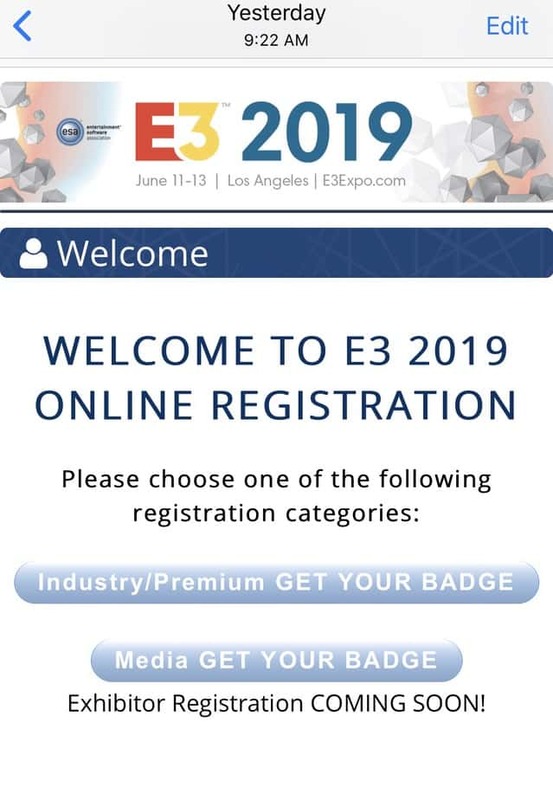 As of right now, everything appears to be working fine, so kudos to E3 in getting these issues fixed as quickly as possible (the updated badge button now says “Industry/Premium/Gamer”). It’s just too bad that many fans had to face those problems when trying for a discounted badge. I do remember the previous sales being much smoother than this; no issues at all when I participated those times. So yeah, I do believe that there was more demand for the discounted badges this time around. Although the $149 badges have sold out, the $249 Gamer Badge is still available, yet it is always wise to get one as soon as possible. If you want to buy a badge, click here. 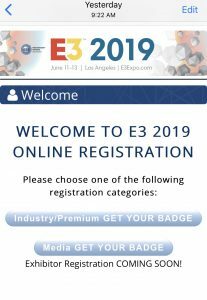 It will be interesting to see how this year’s expo will go, since Sony will not be attending E3 2019. Luckily, Microsoft and Nintendo, as well as many other game publishers/developers, will be there to show off their new game trailers and demos. Are you looking forward to this year’s E3? Did you get a Gamer Badge? If so, please post away when visiting the FoCC forums!